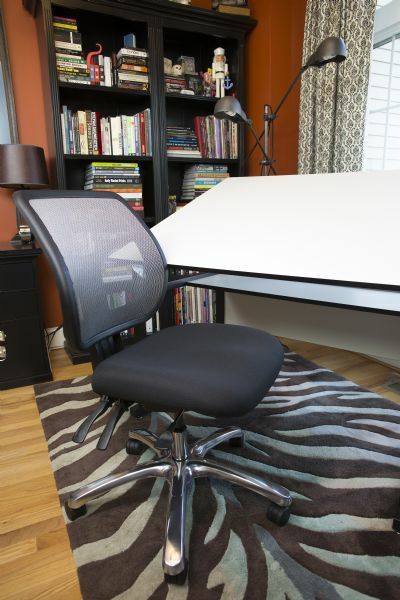 With a contemporary look and ergonomic design this chair is an ideal choice for any office or drafting environment. 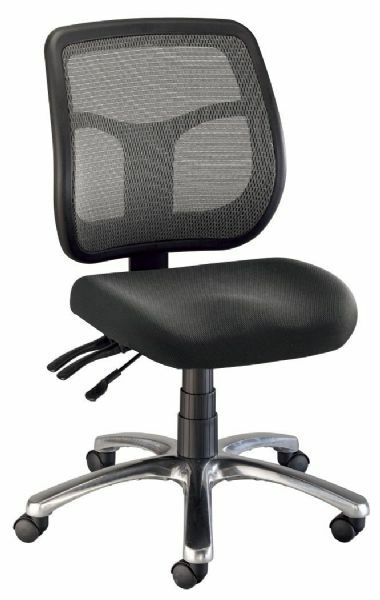 * The height-adjustable backrest features a tightly stretched silver mesh backing and ergonomically contoured design to provide strong lumbar support. * Pneumatic height control permits users to raise and lower chair height quickly. * Multiple controls for adjusting back rest tilt independently or in synchronization with seat tilt. * Includes dual-wheel casters and a 26" diameter polished aluminum base. * Backrest is 19½"w x 19½"h.
* Seat cushion features long-lasting molded foam and is 19½"w x 18"d x 3" thick. 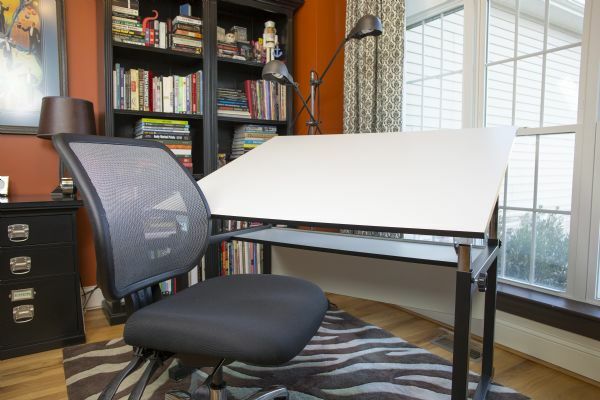 * Office model height adjusts from 17" to 21". 27" x 26" x 14"